Bayou Tree Service has been providing commercial tree care services in the New Orleans and Baton Rouge areas since 1978. Throughout these years, we’ve proven to Southern Louisiana business property owners, educational campuses, municipalities and plantations that we are a trusted and professional team of ISA-certified arborists trained to care for our region’s unique trees. 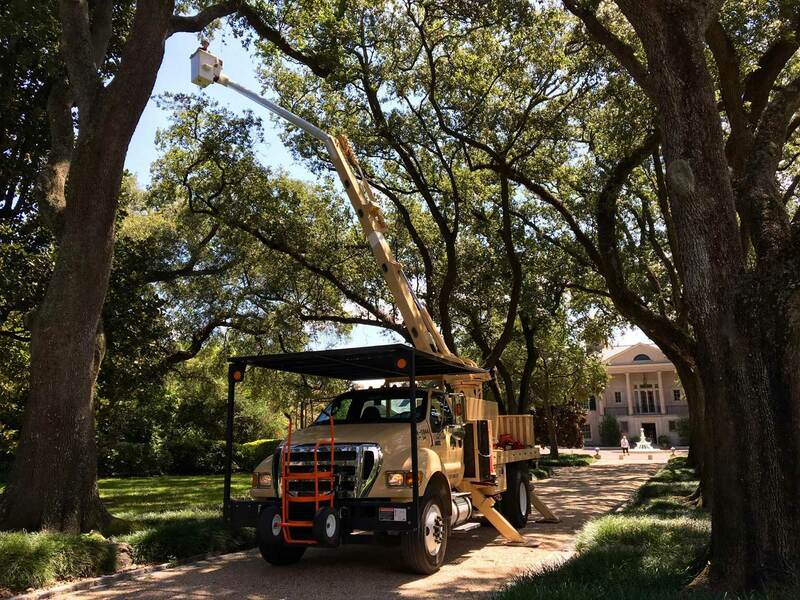 From pruning Crepe Myrtles to preserving historic Live Oaks, to treating diseased or infected trees, to protecting properties and vehicular and pedestrian travel areas, Bayou Tree Service offers a complete line of tree care services to maintain your business, educational, municipality or plantation property. When you call Bayou Tree Service’s New Orleans or Baton Rouge offices for questions about your trees or a professional estimate or bid, you can rest assured that you are working with a talented, knowledgeable team of arborists who will provide you with the information you need. If you need tree services on your commercial, educational or municipality property, you want to know that you are working with a friendly, well-educated and insured company. That’s exactly what you get when you work with Bayou Tree Service - every quote or bid we provide comes with proof of insurance, and our more than dozen ISA-certified arborists have the expertise needed to properly care for your commercial property’s trees. Why Choose Bayou Tree Service? We know that New Orleans and Baton Rouge businesses, educational campuses, municipalities and plantations have a wide variety of choices when it comes to selecting a tree care service. However, as staples in the communities we serve, we are convinced we’re the right firm for all your commercial tree care needs, because we’ve provided excellent commercial tree service for countless business properties, plantations, educational campuses and municipalities. In addition to having served some of the top business, educational, municipality and plantation properties in the greater New Orleans and Baton Rouge areas, we offer bids that won’t change due to unforeseen circumstances. Unlike other tree service companies that will come in with a low offer, then charge you for more later, we provide a full-service quote or bid the first time. If your commercial property needs professional tree care services - why wait? Call Bayou Tree Service offices in New Orleans at (504) 837-8733 or Baton Rouge in (225) 372-8585 today!